Lease Sharing lets your vehicle pay for itself when you’re not using it. Brilliant, right? When you own a car, you’re paying for it all the time. Every minute. Even though most of the time, it’s just sitting in a parking spot. So you’re at work, you’re on vacation, it’s the weekend, or any other time you’re not using it, all you need to do is press a button to add your vehicle to Car2Go’s car sharing platform. Instead of letting your car just sit there, you can share it with other people and let your car pay for itself without an ounce of inconvenience. Sign up to lease one of a variety of vehicles through our leasing program. Share your vehicle. Just press a button to add your vehicle to Car2Go’s car sharing platform and share your vehicle with other drivers. A Car2Go driver took your car out for a spin? Awesome. We’ll split the hourly charge with you 50-50. The fuel used during the car-sharing rides will be deducted from your monthly fuel fee automatically. While you’re at work, on the weekend, or any time your car is just sitting there. Just share. When you buy a new vehicle, you are also buying new headaches – endless payments for insurance, vehicle inspection fees and maintenance costs. The average monthly cost of maintaining a vehicle is around 1,700 ILS per month and that’s only if you include your predicted earning from when you eventually sell it down the line, assuming it’s in good shape two years later. We’re offering you a new leasing model – a leasing service with no commitment, no insurance payments, vehicle inspection fees or maintenance costs and no need to worry about selling the car down the line. Our model is an improved version of the standard leasing agreements – we call it Lease Sharing. It will save you from headaches and put money back in your pocket. Revolutionary lease-sharing service, the first of its kind, allows everyone to take part in car sharing. A smart solution offering you real savings on your car costs. For the first time, your car can go to work and pay you back without any inconvenience to you and whenever you like. Have your car and share it too with a leased vehicle and at no risk for a period of 24 months only (instead of the 30-36 month contract typically required by leasing companies). So how do I operate the service?I shared my car with the Car2Go community. Do I automatically receive money?When can I share my car?How will a Car2Go customer recognize my car?How many drivers can drive my car?How much can MyCar2Go save me per month?What happens if someone is involved in an accident while driving my car? With just a few quick clicks you can start sharing your vehicle. First, before you use the sharing platform, make sure that you’re all signed up for the MyCar2Go platform. Make sure that you’ve designated your parking space so the Car2Go customers will know where they can get your car (Note: you must have a private parking spot. If you don’t designate a parking spot, you won’t be able to share the vehicle). Now, anytime you want, you can share your vehicle. Just open the car-sharing interface and hit “share” – set your sharing start and end times and click “OK”. That’s it! So you’ve done what you need to do, but remember that sharing alone doesn’t earn you money. You receive payment only when your car is used by Car2Go customers. As soon as you share your car on the platform, you’ve taken a big step in the right direction. Whenever you like. All day and all night. During the week, on the weekends and on holidays. We recommend sharing your car during the popular times and on weekends. 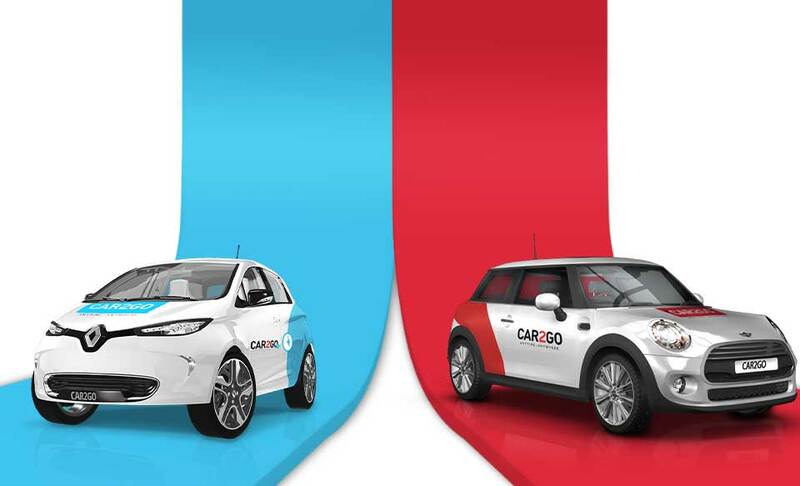 MyCar2Go vehicles will come with some clean, mild branding to allow Car2Go customers to find them. It’s up to you. How often you share and when you share. The extent of the savings is up to 100% of the fixed monthly price of your car. You have compulsory and comprehensive insurance. If a vehicle is involved in an accident, the vehicle owner will receive a temporary replacement car within 24 hours from the moment of the accident/damage (in the event that it will be out of service for more than 24 hours). The replacement car will be theirs to use until the vehicle is repaired. In the event that the vehicle is out of commission as a result of an accident deemed the fault of the owner, the transaction will be cancelled. In the event that it is not the fault of the owner, the owner will receive a new vehicle. קאר טו גו (CAR2GO) נכנסת לשוק הליסינג השיתופי. בכך תתחרה החברה בחברות הליסינג הגדולות שמציעות ללקוחותיהן מסלולי ליסינג פרטי – שבמסגרתם חוכרים הלקוחות את המכונית מחברת ליסינג.